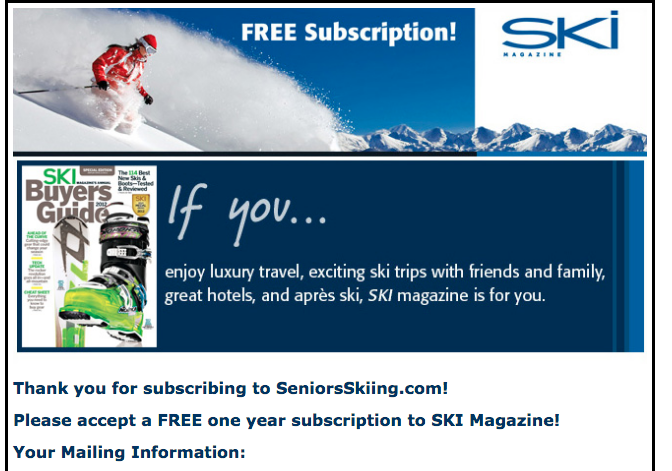 To subscribe for free, CLICK HERE, scroll to Digital Membership, select 1 Year-Digital Only, add to cart, enter coupon code SENIORSKI17, checkout, then set up your account. P.S. Once you’ve subscribed, you’ll have access to the archives to 2009. I went to Loveland Ski today based on you list of places Seniors Ski Free. 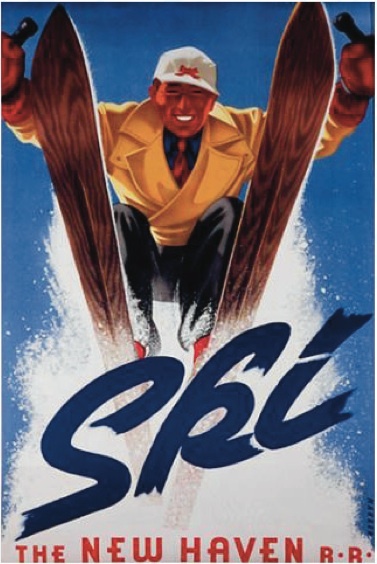 You site said 70 and above ski free. I went to the main office and they said they have no such offer. You might want to correct that portion of you website. Hi Don: Check the season pass price for seniors. 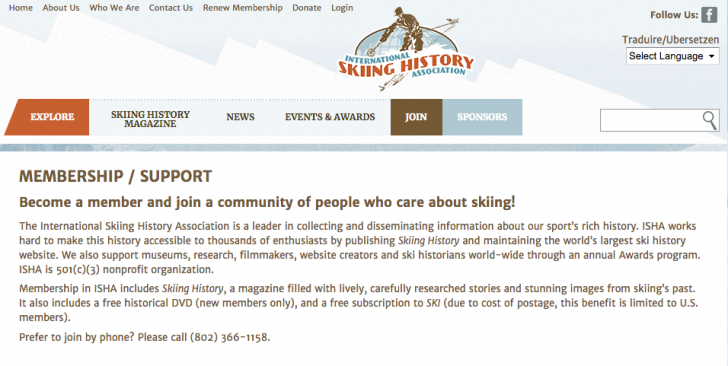 Our definition of “Free” is also “Almost Free”, i.e., a season pass less than $125. Pretty good deal, eh? 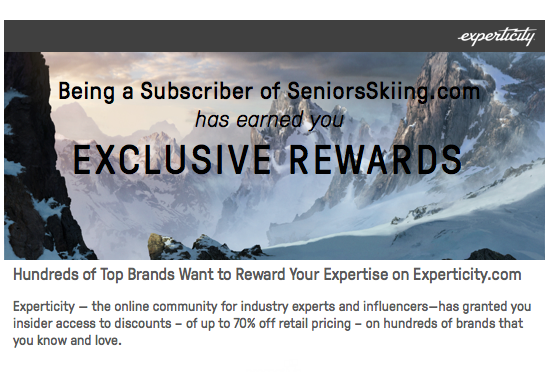 Enter your email above to confirm your subscription and continue reading. Thank you! 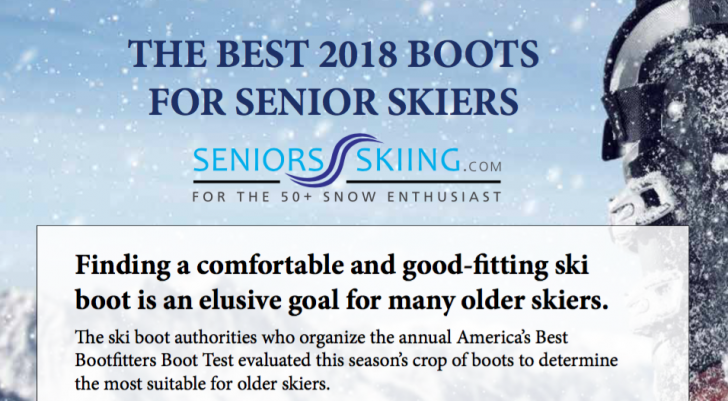 Subscribers also get access to restricted content like our BEST 2017 SKIS FOR SENIORS list; PRO DISCOUNT DEALS; and our weekly digest email.